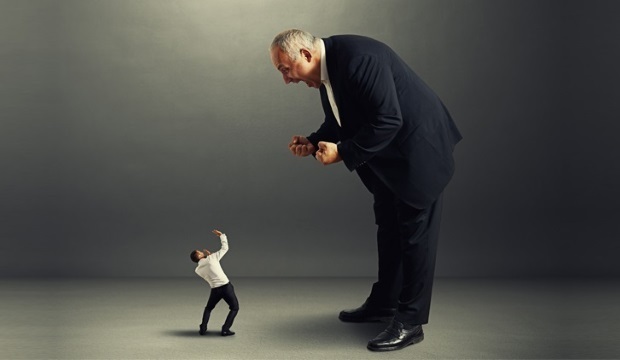 Are you the problem when conflict arises in the workplace? We’ve all been there. It has been a long week, or even a long month and you feel it’s been made even longer and more tiresome by certain members of your team. Perhaps if it had not been such a long month, you might have found a way to be more diplomatic, but before you know it – you’ve opened your mouth and said that ‘thing’ that you have wanted to say for ages but have been keeping buttoned up. Immediately you feel better, but it’s not long afterwards that you start to feel worse. What was initially a small underlying tension, has just been blown up into something far more damaging. It’s easy to point the finger in these kinds of scenarios and say that he or she deserved it because of ‘xyz’, but have you ever taken the time to ask if your own behavior is a contributing factor when things get out of hand? If not, you might be in trouble. A Harvard Business Review article published last year found that when leaders were less self-aware, their teams ‘made worse decisions, engaged in less coordination, and showed less conflict management’. In this persuasive dataset, taken from research within a Fortune 100 company – entire teams were negatively affected by their leaders’ lack of self-awareness. It is also worth noting that if you feel that this is not relevant to you, the statistics are not in your favour. Research suggests people tend to only possess moderate self-awareness and that this is often weaker in professional contexts. As leaders, we can’t avoid making mistakes, but we can work on some simple and dynamic methods to improve self-awareness, and in doing so, improve work-place productivity, harmony and engagement. Whilst there is debate about the efficacy of the current means of evaluating self-awareness such as the Myers-Briggs Type Indicator in a management context, many companies are increasingly trying to implement systematic evaluations that compare how people see themselves with how others in the workplace might see them. It’s not a substitute for having meaningful conversations with your team but it can bring to light some personality traits which you may find surprising. Whilst self-introspection can be a useful mechanism for improved self-awareness, you also need to find out how others view you. In addition to considering formal evaluation tools, talk to members of your team, from the highest to the most junior. Ask them, in a way that will make them feel comfortable, how they see you as a leader and what they think you could improve on? Have you ever made them feel under-valued? You might be surprised by their insights, not only by what they say, but also by what they don’t say. The absence of certain feedback can be just as powerful as the feedback itself. Reflective practice can be shaped to best fit your team’s needs. It might be something as simple as asking people to reflect proactively on a recent mistake or conflict in the team. Alternatively – you could ask individuals to explore a personal characteristic that could be holding them back. Create a space that feels safe – no blame or stigma attached. Some mindfulness experts suggest keeping a daily diary, but let’s face it, it’s not for everyone. Instead, consider recording your more important strategic decisions and what you predict the outcomes will be, including any human resources implications. Come back to your records three months later, and reflect on how accurate your predictions were. Consider any patterns that emerge in these records, and reflect on what they might suggest about your operational decision-making. You might feel that you are the most approachable leader since the dawn of time, but take time to notice and appreciate how others behave around you. The Hewlett Packard founders made the MBWA (Management by Walking Around) approach popular but as well as engaging in active listening; consider your team’s body language, and facial expressions during your interactions. If they look terrified, despondent, or even just bored to tears, chances are that it might be something to do with your leadership style. It’s important to record and reflect on your findings and then open dialogue with yourself and with others on what you could do differently. Perhaps deceptively, self-awareness is less about notions of self, and more about relationships than we often give it credit for. If you have enjoyed this post – you might want to check out some of my other articles in this blog. My name is Patrick Moulsdale and I work with leaders and groups to raise consciousness, develop teams and resolve conflict. To learn more about how I can work with your organisation, please contact me through the form at the top of this page. I appreciate the call to self-awareness for leaders. Few leaders recognize how their own responses to conflict influence, directly and indirectly, the functioning of whole organizations. Expanding self-awareness is challenging work but the payoffs can be huge.